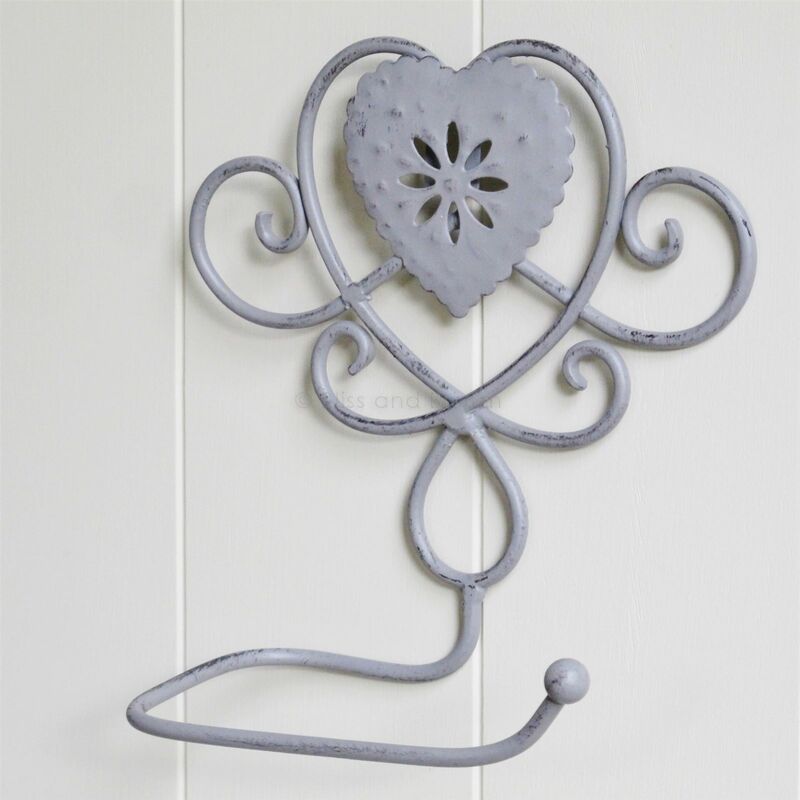 Heart scrolled metal toilet roll holder, light grey in colour with an antiqued finish. Toilet roll not included. H 19 cm W 17 cm D 9 cm. Has fixing holes on the back for easy hanging.